Adding a “dark mode” is a big UI design trend right now. You can darken the Dock and Menu Bar on the Mac, Apple TV went shadowy in tvOS 10, and everybody’s waiting for iOS to add a dark mode. 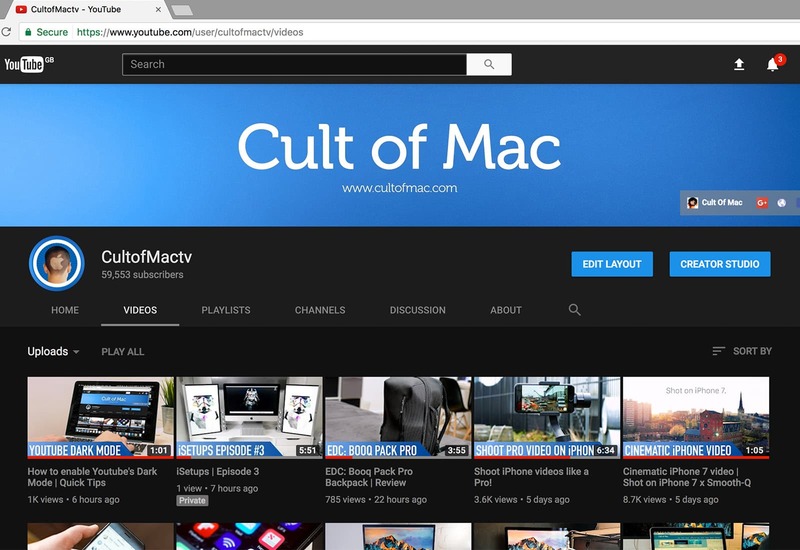 The dark look makes perfect sense for YouTube. Here’s how to make it happen. 3) Hit Enter to process the code, then close the developer window and refresh the YouTube page. 4) On the YouTube homepage and channel pages, you should notice a slightly modified design. Click on your profile icon in the upper right to bring up a new list of options. 5) Click on the Dark Mode button. You’ll then find a toggle, similar to those in iOS’ Settings app, that lets you switch on YouTube Dark Mode. Toggle it on, and white pixels on the YouTube page will turn black. 6) To revert back to YouTube’s normal display, just toggle off Dark Mode. 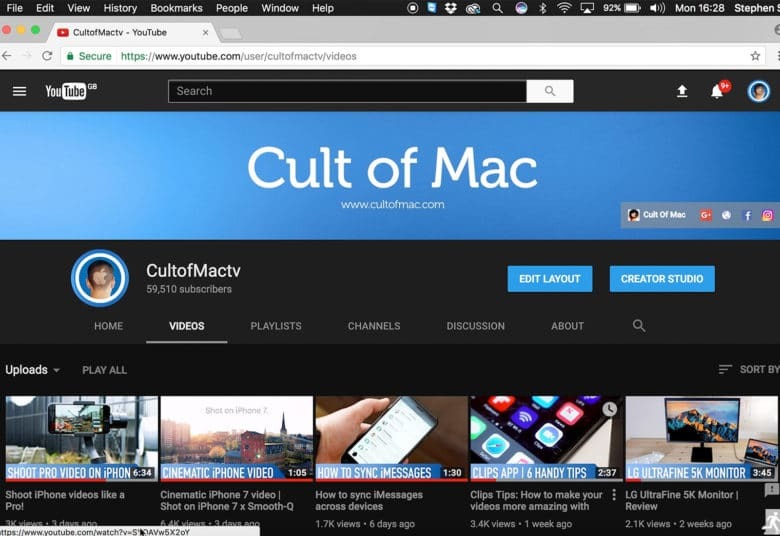 YouTube Dark Mode is still in testing and hasn’t been officially revealed. Working with the dev console can be finicky, so follow the directions carefully. YouTube’s Dark Mode reportedly also works in Firefox and Edge browsers (although we couldn’t get it to work in Safari). Hopefully, we’ll see this become a standard feature in the near future and make its way to other web browsers. P.S. 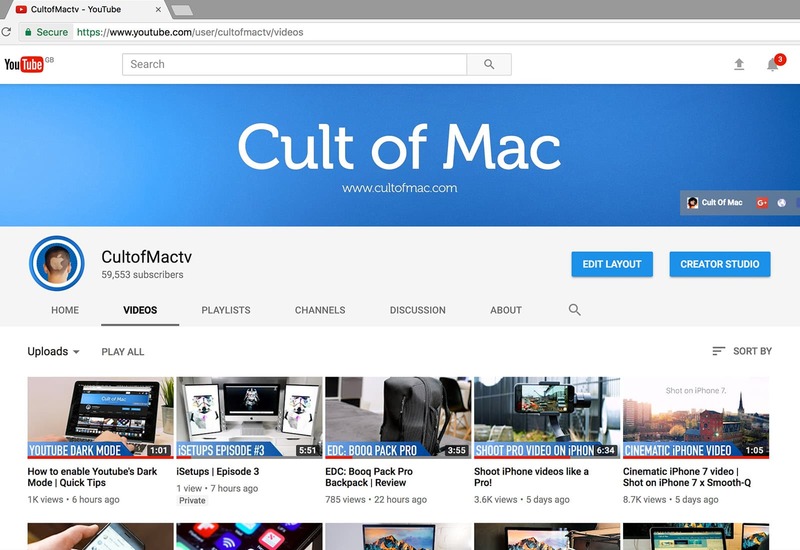 While you’re on YouTube, go to the Cult of Mac channel and hit Subscribe to stay up-to-date with the latest videos as soon as they drop!